The American black bear (Ursus Americanus) is native to North America and widely spread throughout the continent. Their habitat varies greatly depending on season and location. Black bears typically live in largely forested areas and can be found foraging in grassy meadows, logged off, and slide areas during spring time after they emerge from their dens after hibernation. Breeding season for bears is during the spring months of May and early June. Males will begin to travel long distances during this time until they pair up with a female in heat. The guide area for our Northern B.C black bear hunts is located about 100 miles northwest of the city Prince George, B.C. 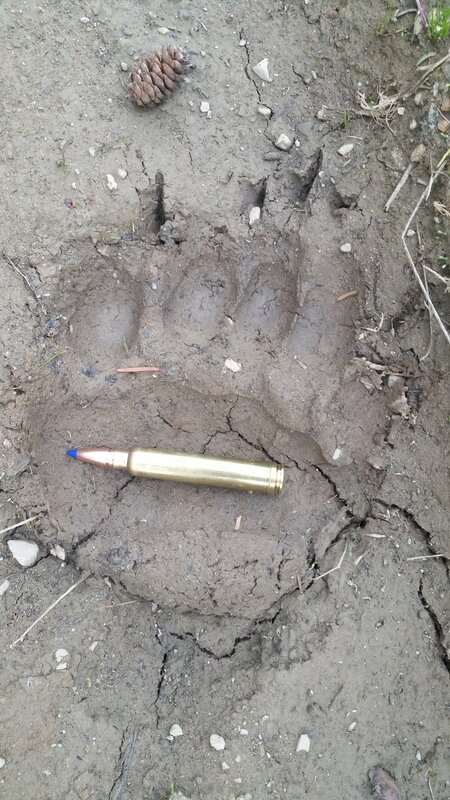 Best time to hunt black bears in this guide area is mid May to early June. This is a great trip for any hunter who enjoys the wilderness and the anticipation of stalking dangerous game. British Columbia has the highest populations of black bears in North America and our guide area boasts some of the best trophy quality of bears with long thick coats. Our bears average 350lbs to 500lbs with an excellent opportunity for beautiful color phases (cinnamon, chocolate, brown and blonde). During this hunt you may have opportunity for wolf as there are many packs in the area and is wise to carry a tag. Other big game species found in this area you may see are moose, deer, lynx and the ever impressive grizzly bear. 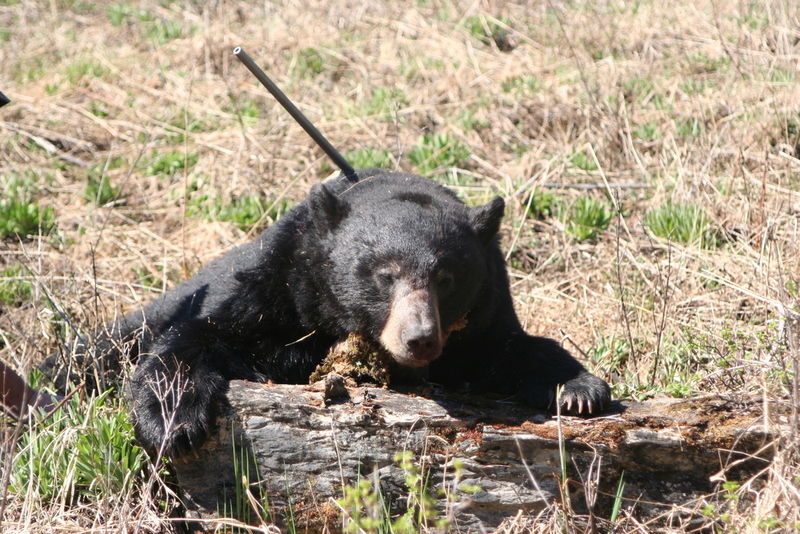 Hunters can carry two tags and it is not uncommon to have the opportunity to kill two bears. Baiting is unlawful in British Columbia, so these hunts are spot and stalk,and are conducted primarily with the use of 4x4s, on horseback and on foot. We focus on glassing grassy open slopes, logged and slide areas for foraging bears. For the avid houndsmen we offer a great high success hunt in late June with our champion hunting hounds and is an excellent way to harvest big male black bears. We base all these hunts out of our comfortable main lodge where many good hunting stories have been told with many more to come!